Shelley Bean: More Swirly Bird Stamps---Last Day to Enter the Drawing! More Swirly Bird Stamps---Last Day to Enter the Drawing! Here it is...May 25th. 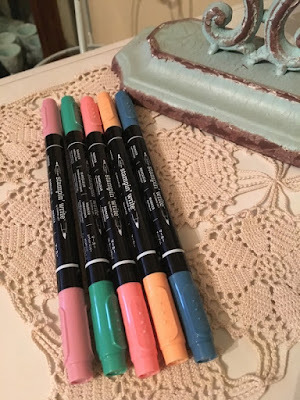 That means, it's the last day to enter in my drawing for the FREE set of Stampin' Write Markers. (retail price is $15.00) Leave a comment today and you get TWO entries into the drawing as a bonus. May 25th is/was my sweet mother's birthday, so the extra entry is from her. Of course, if you missed a day between now and May 14th, feel free to go back and give yourself an extra advantage. 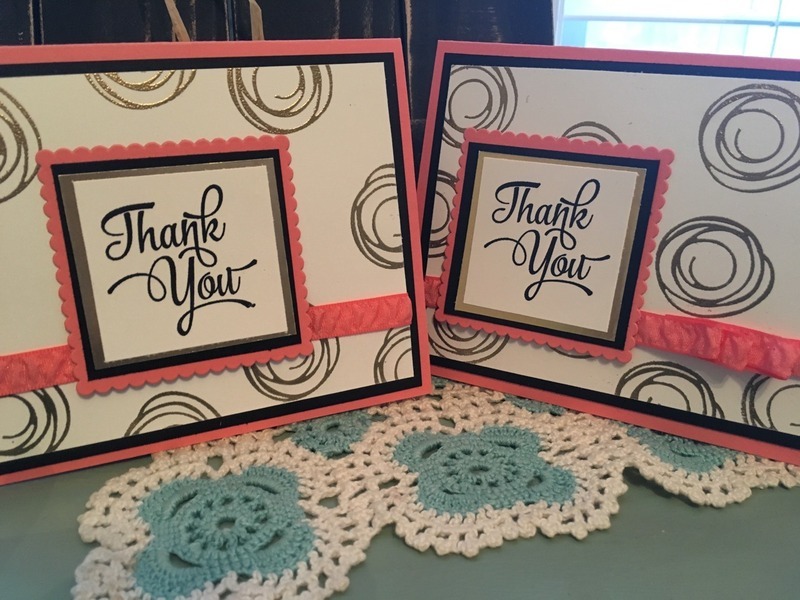 And here are a couple thank you cards I made this morning before work. 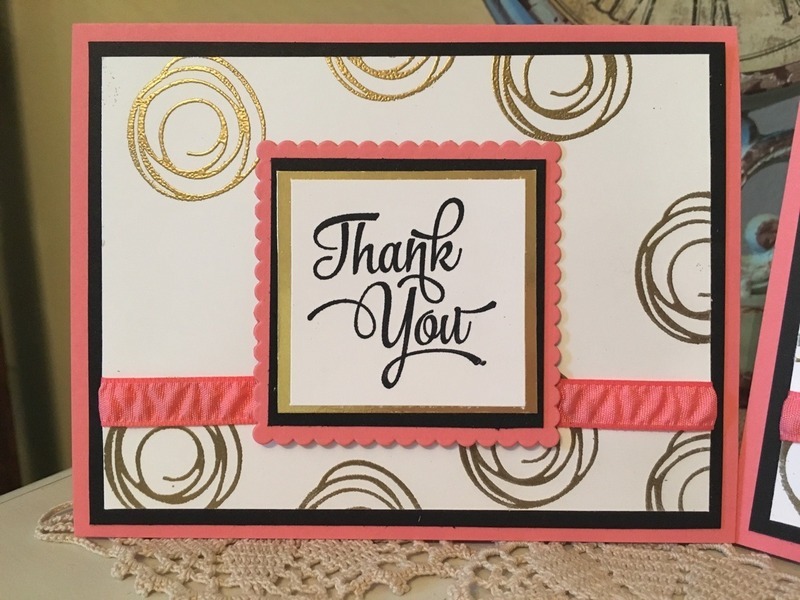 I used the new paper, Flirty Flamingo, gold foil paper and gold heat embossing, I think the colors look wonderful together. And how about the new rouched ribbon? This will also be available in all the new color choices. I love the way this ribbon looks and the texture it adds. I also wanted you to be aware how perfectly the paper, ribbon and the Stampin' Write marker pictured above match each other. The papers, inks, pens, ribbons...all match so well and the pigments are true. It really helps to create that put together look that makes our cards and projects so special. Here is a slight variation to the same idea, only I ruffled the rouched ribbon just a little bit to give it a little something different. Please leave a comment on today's posts.....and get an extra entry point in the drawing, That's 2 for the effort of 1! :) And just for your information...I have a lot of items tucked away in my stash to use as upcoming blog giveaways. Please come back and visit often so you don't miss out on these special opportunities. I will announce our winner tomorrow...stay tuned. 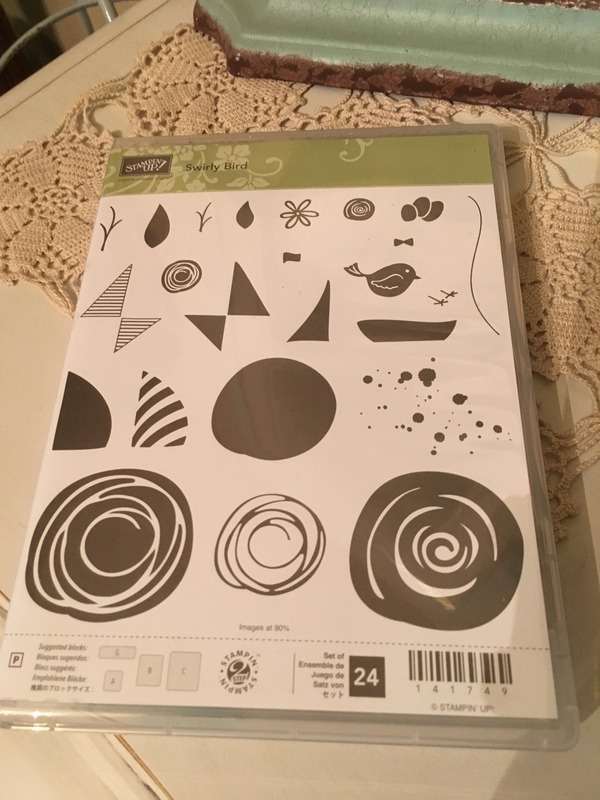 I am really liking that fun Swirly Bird stamp set! Pretty card and a beautiful color! The gold embossed swirls look beautiful! Thanks for the extra entry today to honor your Mom's birthday.... I will be keeping my fingers crossed! I'm a long-time follower here, so I don't miss your posts! This is gorgeous! 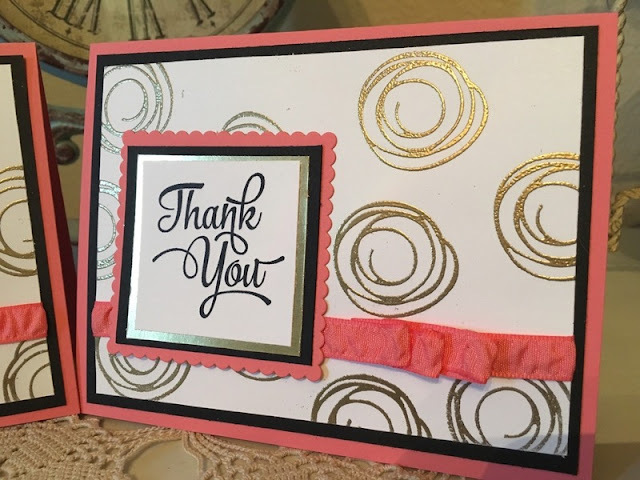 Love the swirl embossed on the gold, gives out a whole different look. So elegant. Happy birthday to your Mama :) I know you're missing her today, she was so sweet. Love you.